This this article (and others to follow) I thought I’d focus on actual fabrics for a change. It’s all well and good me banging on about how to wear things and talking about stuff I want but what they’re actually made of is rather important too. 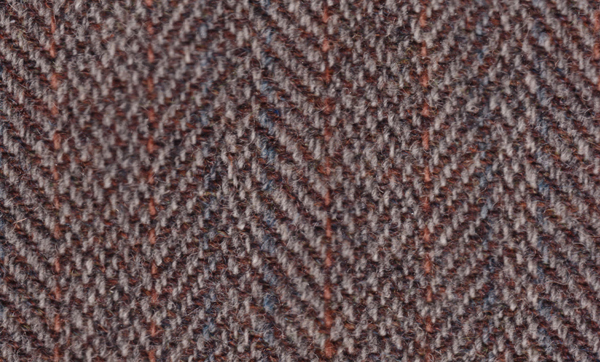 So here’s the first, on one of the UK’s most celebrated and traditional cloths – Harris Tweed. Harris Tweed (Clo Mhor in the original Gaelic, which translates to ‘The big cloth’) is a product of the Islands of Harris, Uist, Lewis and Barra. 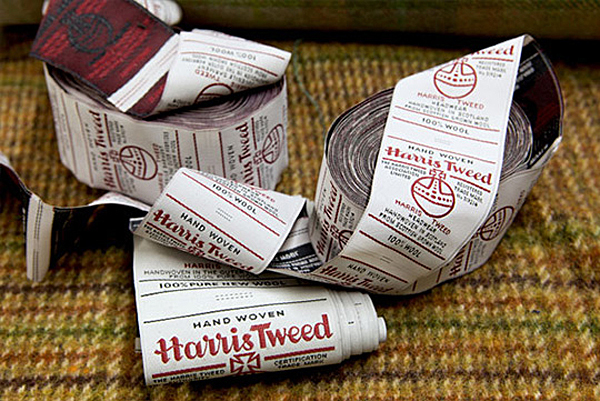 The cloth itself is made by hand and the stipulation for a tweed to be certified as Harris was thus: “Harris Tweed means a tweed, hand-spun, hand-woven and dyed by the crofters and cottars in the Outer Hebrides and made from pure virgin wool dyed and spun in the Outer Hebrides”. Whilst weaving is still now done within the homes of the islanders (under the governance of the Harris Tweed Authority, established by an Act of Parliament in 1993), machine-spinning and vat dyeing have since replaced original hand methods. 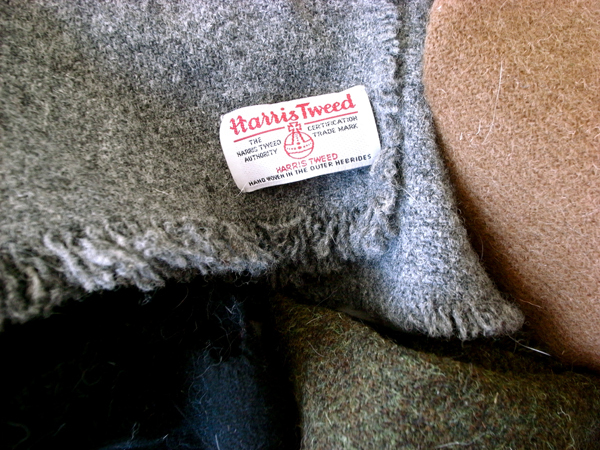 Harris Tweed is now defined as “Hand woven by the islanders at their homes in the Outer Hebrides, finished in the islands of Harris, Lewis, North Uist, Benbecula, South Uist and Barra and their several purtenances (The Outer Hebrides) and made from pure virgin wool dyed and spun in the Outer Hebrides”. It’s a subtle but important change. So we’re still not talking mechanised factory production, this is still traditional hand production at its best. It’s only by using this process that the cloth will be granted the Harris Tweed trademark – this consists of the orb and the Maltese Cross with the words Harris Tweed underneath. In addition to this there is often the words “Woven in Lewis”, “Woven in Harris”, “Woven in Uist” or “Woven in Barra” included too for the purpose of distinguishing where the tweed was woven. 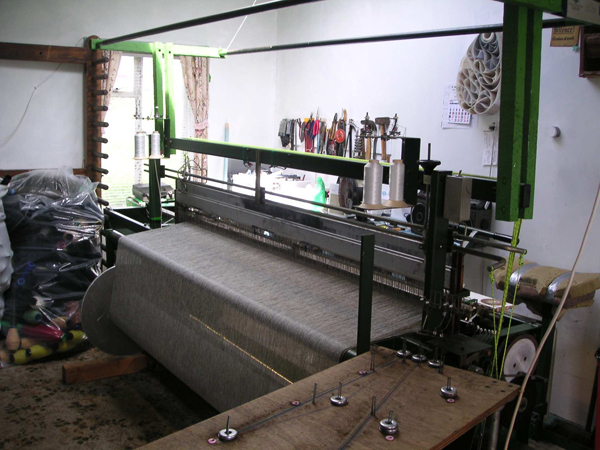 The weaving is done on fly-shuttle looms which are now usually the double width looms made by Bonas-Griffith – these were introduced in 1996 to satisfy the markets demands for a wider, softer, lighter cloth. At the moment nearly 95% of Harris Tweed production is based in a single mill in Shawbost on the Isle of Lewis. This is owned and run by Harris Tweed Hebrides – the company was founded in 2007 and has been instrumental in extending the appeal of the fabric to a wider audience. 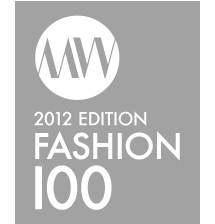 Also of note is the fact Harris Tweed Hebrides has recently picked up two major awards – it was awarded Textile Brand of the Year in 2009 at the Scottish Fashion Awards and also the premier award for Outstanding Style Achievement at the Scottish Style Awards. Hopefully this shows a renaissance of interest in the fabric, which in turn should lead to its continued survival and reverse the almost terminal decline of this wonderful cloth – something that a couple of years ago was looking unlikely but is utterly vital to our clothing industry. A thoroughly enjoyable and informative article mate AND, as if just to please me, there’s a little bit on name origin and indigenous language speak. Made my day!! Probably worthy of note to is the fact that Nike put in an order for in excess of 10,000m of Harris Tweed (a couple of years back, I think). British Millerain next please Rob? There was an excellent BBC4 mini series of docs that showed how close Harris tweed was to extinction, well worth a watch if it gets repeated. Fashion seems to be coming back to this wonderful fabric thankfully, havent got any myself but would love to own some. Was that the one on last year? The guy basically lived up there for 12 months and made a documentary about the fabric itself, the people who make it and the environment it’s made in. I do hope they repeat it as I’d like to see it again. It’s a shame the BBC don’t have a full archive on their iplayer. Just found your blog via StyleSalvage – have to say I’m very impressed and will be swinging by on a regular basis. Re Harris Tweed – the documentary is well worth catching and BBC4 do tend to repeat things quite regularly so I’d imagine its only a matter of time. Ebay is a good place to find vintage Harris Tweed as prices tend to be more reasonable than vintage shops here in London.